Works Partnership have brought initial designs for an expansion of the Jupiter Hotel before the Design Commission. The new 6 story building would add 67 rooms on a site directly to the east of the existing hotel. 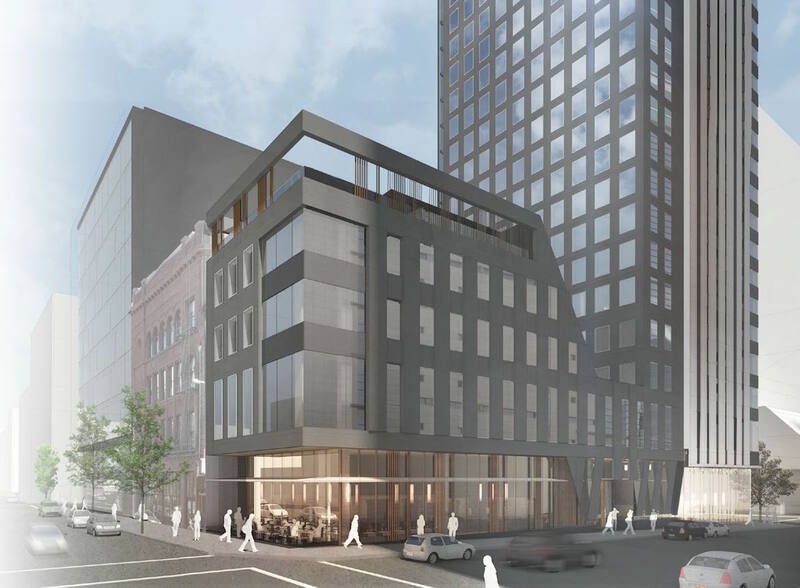 The ground floor would include restaurant and retail spaces facing onto E Burnside, along with a lobby and reception located at the corner of the site. An event space as well as an upper level lounge, connected to the lobby by a stair, is proposed for the second floor. Guest rooms would be located in floors 3-6. 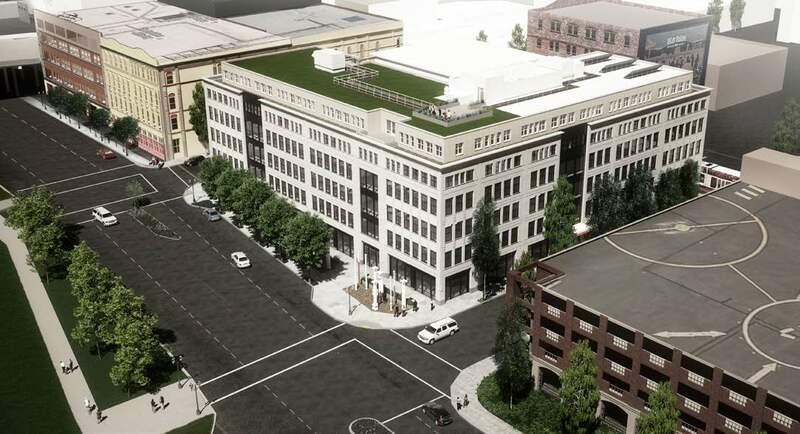 Developer Killian Pacific announced this week that they are planning a second new office building in the Central Eastside, at 120 SE Clay. The project will be located one block to the west of their under construction Clay Creative project. Portland Architecture published a Thanksgiving state of the city essay, looking at both the things to be grateful for and the things to be anxious about. Breakside Brewing will open its third location at the LL Hawkins and Slabtown Marketplace, reported the Willamette Week. The brewpub will join New Seasons, Consolidated Community Credit Union and Besaw’s restaurant. 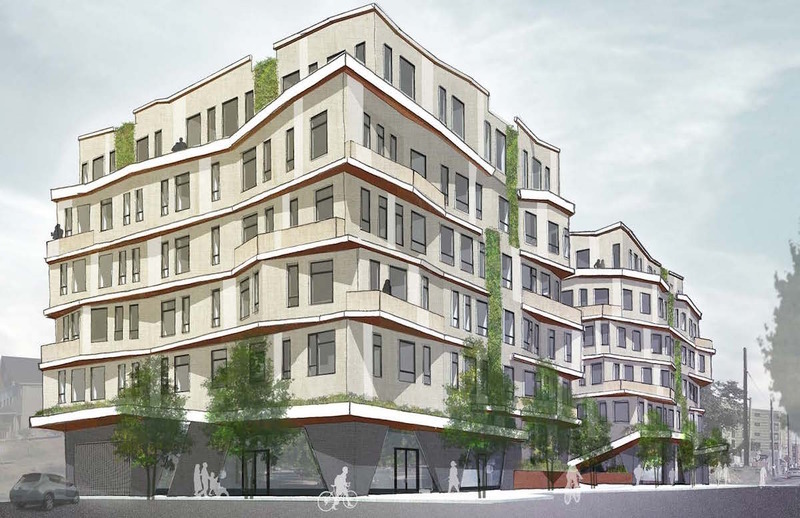 Design-Build firm SolTerra have gone before the Design Commission for advice on their proposed Strata project on N Williams Ave. The mixed use building would include 5 floors of residential units, with 95 one and two bedroom units provided. The ground level would include 5 live/work units, as well as 3-4,000 sq ft of retail. 44 below-grade parking spaces and 144 long-term bike parking spaces would be provided for the use of the residents. Ankrom Moisan Architects have gone before the Design Commission with proposals for a nearly full block development at SW 3rd and Taylor. 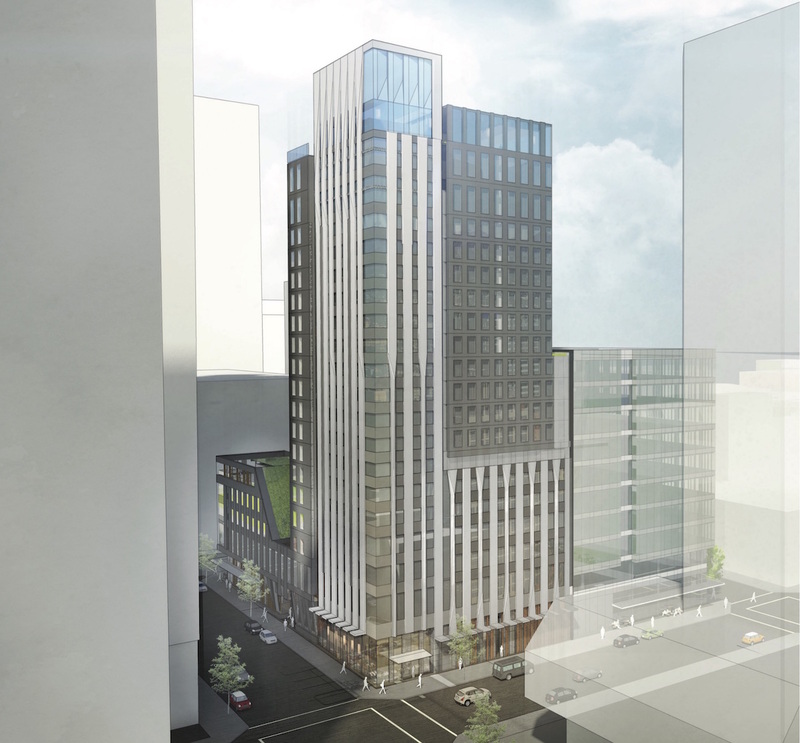 The project for Onder Development would include a 20 story hotel building on the southern half of the block and a 10 story office building on the northern half of the block. The potential loss of two historic buildings on the site has brought significant attention to the project, including a mention by the Historic Landmarks Commission during their State of the City Presevation Report to the City Council last week. Woofter Architecture and Sink Combs Dethlefs Architects have gone before the Design Commission with proposals for the Portland State University Viking Pavilion. 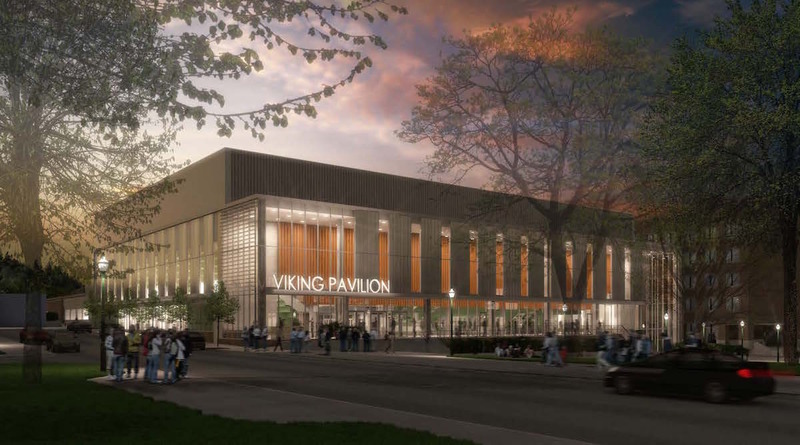 The project will create a new multi-purpose arena with seating for 3,500 people in the heart of the PSU Campus. As reported in March of this year, the building will also be used by OHSU, who are contributing part of the funding. Other functions to be located in the building include new classroom space, offices, a cafe and a student lounge. Restore Oregon announced that they filed concurrent appeals to the City and to LUBA, arguing that the City erred in removing the Albion Hotel and Ancient Order of United Workmen Temple from the Historic Resource Inventory. The buildings are threatened by the development at 3rd and Taylor. The Daily Journal of Commerce published construction photos of the Burnside Bridgehead Block 75, which has now reached its maximum height. The project is scheduled for completion in mid-2016. 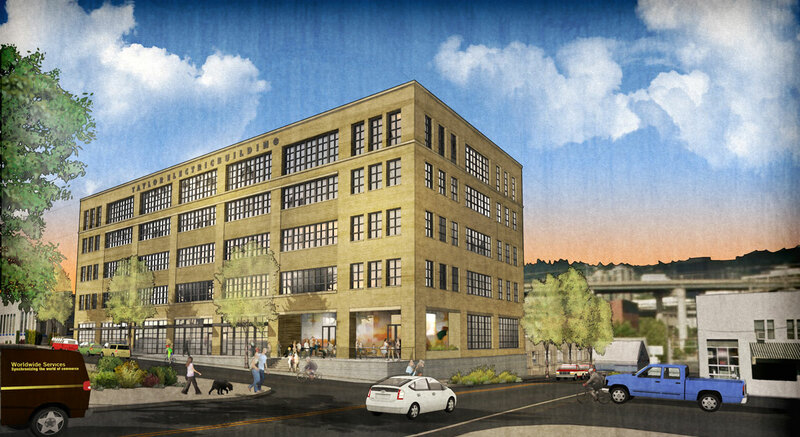 The Portland Development Commission has walked away from a deal with Harsch Investment Properties for development on the site of Centennial Mills, determining that it wasn’t financially viable. Partial demolition is currently underway on the long vacant site. The current demolition work will leave the feed and flour mills in place, but with no plan in place for what to do with them a decision will need to be made in the new year whether to also demolish those buildings. In a piece on Division Street, KGW looked at how it “got so popular and why the growth is causing problems for people who live, work and dine at Portland’s new restaurant row”. The Portland Chronicle reported that demolition is likely imminent on two single family homes at 1515 SE 44th, which will be replaced by a four-story mixed-use development with 30 residential units facing SE Hawthorne Blvd. In 1922 Euclid, Ohio adopted a zoning ordinance that included six classes of use, intended to preserve to the village character of the Cleveland suburb. Industry would be kept away from residential uses, and building heights would be limited. While Frank Lloyd Wright’s Broadacre City and Le Corbusier’s Ville Radieuse are probably more famous examples of city planning based on separation of uses, Euclid’s zoning ordinance ultimately became the more influential. A large landowner sued the municipality, arguing that in limiting the development potential of their site Euclid had unconstitutionally deprived them of their ability to develop their site with an industrial use. The case made it all the Supreme Court. In the 1926 case Village of Euclid v. Ambler Realty Co. the court sided with the village, establishing the broad precedent that single-use zoning was permissible. While there are other types of zoning used in the US, the model used by Euclid is by far the most common, and is often referred to by planners as Euclidean zoning. …continue reading our guest post at Portland Architecture. 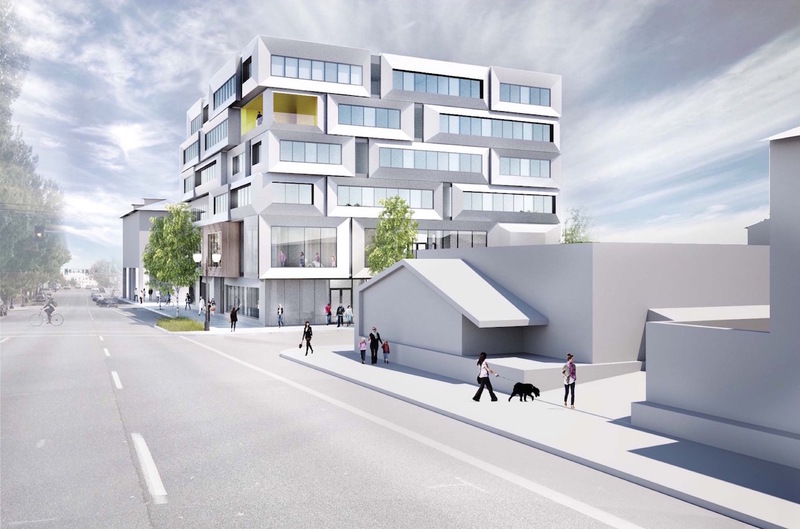 The Design Commission has approved designs for the St Francis Park Apartments by MWA Architects. 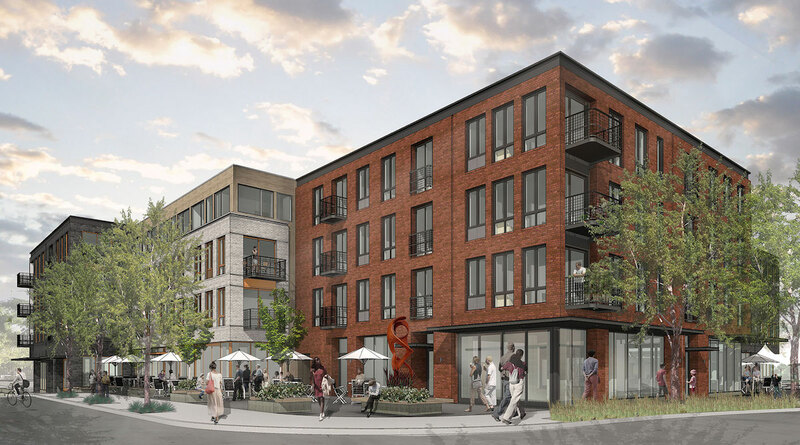 The building will include 106 units of affordable housing, including for women transitioning from homelessness and victims of domestic and sexual violence. The project is being delivered as a partnership between government agency Home Forward and nonprofit Catholic Charities.